Dr. Greg House gets away with a lot mostly because he is so dang good. So what if there are ethical or even legal lapses in how he diagnoses and treats patients. After all it's the cure that's the goal, right? “It all works out marvelously well. 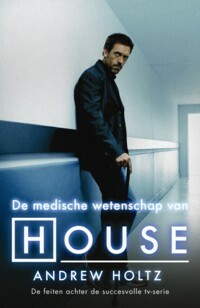 Generally, House finds out what the condition is, diagnoses it, comes up with the treatment, and at the end of the show patients are very grateful. You know, that’s not the way the world really works. If physicians were to act that way in the real world, chances are that they wouldn’t find the proper diagnosis, or even if they did, the treatment would have some horrible side effect and the patient would get sick and wouldn’t be terribly grateful.” - Mark Wicclair, Ph.D., professor of philosophy, adjunct professor of community medicine, West Virginia University in Morgantown. Unfortunately, when the methods of TV docs are examined, they are seen to bear the same relation to real clinical care as the supernatural beauty of the stars, aided by make-up, kind photography, lighting and editing, has to the looks of the average doctor or nurse after working overnight call in a Level III Trauma Center.